La Scala (abbreviation in Italian language for the official name Teatro alla Scala) is a world-renowned opera house in Milan, Italy. 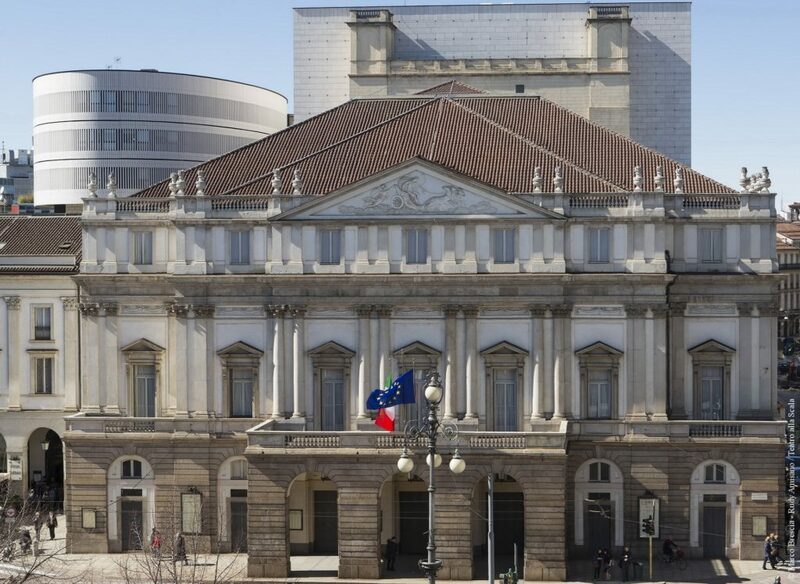 The theatre was inaugurated on 3 August 1778 and was originally known as the New Royal-Ducal Theatre alla Scala (Nuovo Regio Ducale Teatro alla Scala). The premiere performance was Antonio Salieri's Europa riconosciuta. Most of Italy's greatest operatic artists, and many of the finest singers from around the world, have appeared at La Scala during the past 200 years. 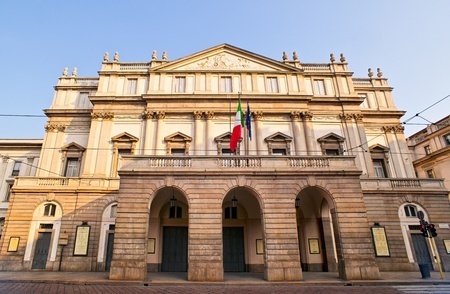 Today, the theatre is still recognised as one of the leading opera and ballet theatres in the world and is home to the La Scala Theatre Chorus, La Scala Theatre Ballet and La Scala Theatre Orchestra. The theatre also has an associate school, known as the La Scala Theatre Academy (Italian: Accademia Teatro alla Scala), which offers professional training in music, dance, stage craft and stage management. 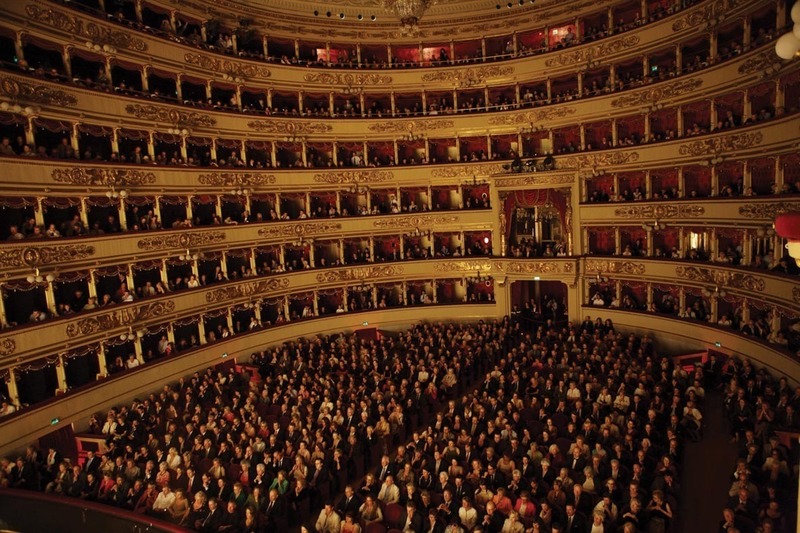 La Scala's season traditionally opens on 7 December, Saint Ambrose's Day, the feast day of Milan's patron saint. All performances must end before midnight, and long operas start earlier in the evening when necessary. The Museo Teatrale alla Scala (La Scala Theatre Museum), accessible from the theatre's foyer and a part of the house, contains a collection of paintings, drafts, statues, costumes, and other documents regarding La Scala's and opera history in general. La Scala also hosts the Accademia d'Arti e Mestieri dello Spettacolo (Academy for the Performing Arts). 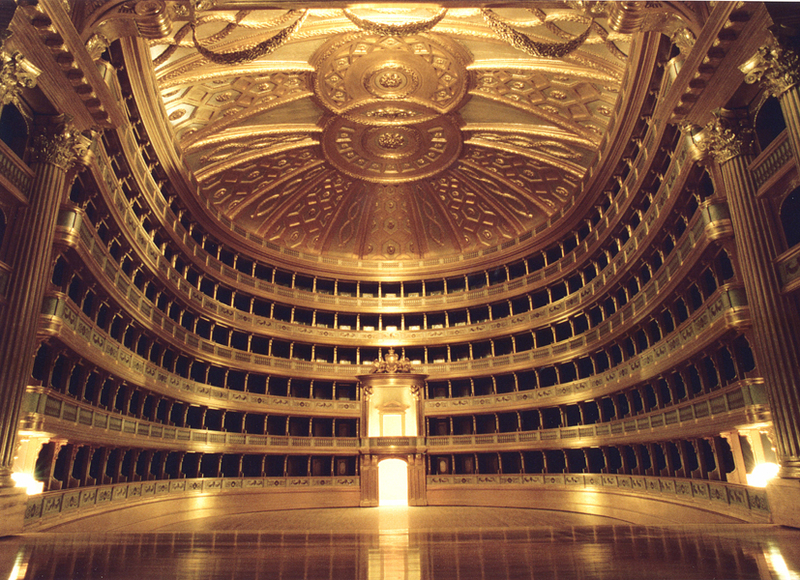 Its goal is to train a new generation of young musicians, technical staff, and dancers (at the Scuola di Ballo del Teatro alla Scala, one of the Academy's divisions). La Scala has several foyer bars: one in the stalls foyer, two bars in the “Arturo Toscanini” boxes foyer (third floor of boxes) and two in the Second Gallery foyer. Bars open before curtain-up and in the intervals. Food and drink may not be consumed outside the foyers. Food and drink is not permitted in the auditorium, in boxes or galleries. Next to La Scala’s main entrance you will find the Ristorante Teatro alla Scala “Il Marchesino”, run by celebrated Italian chef Gualtiero Marchesi. The perfect place to enjoy an aperitif or dinner before or after the show, the restaurant is open Monday to Saturday from morning to late evening. Booking recommended. The La Scala Shop is located inside the opera house and can be accessed from the street and from the stalls foyer during performances. The La Scala Shop sells CDs, DVDs, books and other La Scala-related items.